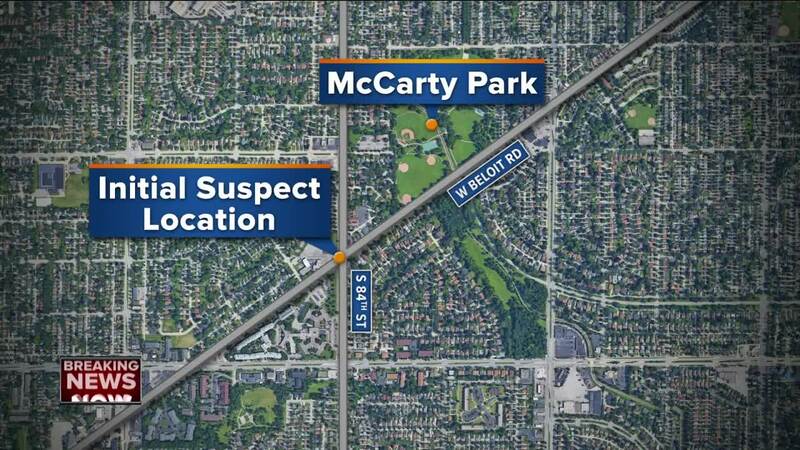 The Milwaukee County Sheriff's Office is searching for the suspect in a brutal sexual assault that occurred Thursday night in a West Allis park. It happened around 11 p.m. at McCarty Park, near 84th & Cleveland. 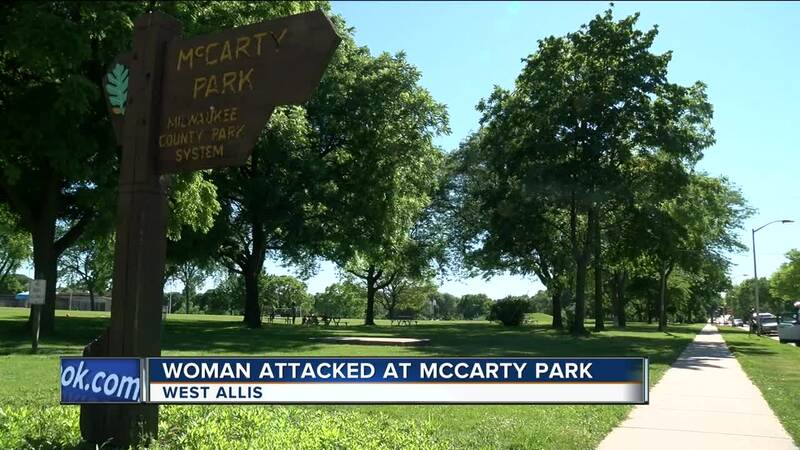 According to the Sheriff, the woman was initially walking in the area of 84th & Beloit when she saw a man standing in the shadows near some bushes. "This individual grabbed her by the hair, pulled her into the bush area and did things, quite frankly, too vile to discuss," said Sheriff Richard Schmidt. In a news release, the Sheriff's office described the suspect as "a black male, 30-31 years old, short hair, and goatee, wearing khaki shorts, sandals and a blue t-shirt with yellow lettering on it." Schmidt said the woman was able to fight off her attacker. She ran to a nearby house and pounded on the door, where Chris White and his family were inside watching television. "As soon as I opened the door, I saw a lady crying and asking for help," White said. "She was shaken up and scared," he added. "She had a lump on the side of her jaw from where she got punched." White said his wife consoled the woman and called 911, so that the victim could speak to a dispatcher. He ran outside to look for the suspect but didn't have any luck. "I'm just glad I could answer the door and help," White said. "I hope police catch him and put him where he belongs," he added. White said the sexual assault left his family fearful. "I go to that park all the time. My kids are always walking over there," White said. "Usually this is a quiet neighborhood." "I guess now you've got to think twice before you go in there at night," he said. Schmidt said he's still investigating whether or not the attack was random. "I think this (suspect) may have known at least something about this particular lady," the Sheriff said. "At least that’s kind of what we're lead to believe right now." If you have information about the attack, please call the sheriff’s office at 414-278-4705.